Homme Homes’ Wittenberg and Wausau Campuses provide a broad variety of employment opportunities for individuals seeking employment in a Christian setting. 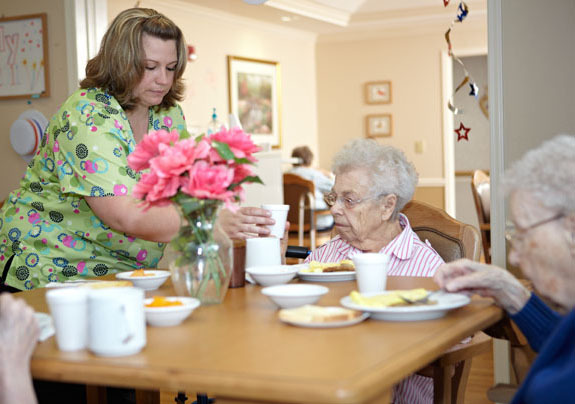 Our Wausau Campus, which serves seniors in a variety of residential settings including Forest Park Village, The Gardens and Stone Crest Residence, is seeking select individuals to become part of our employee team. Our ongoing commitment to maintaining a supportive work environment leads many of our staff to choose Homme as their employer of choice. We urge you to consider employment with Homme. For further information please e-mail the Director of Human Resources, Jennifer Brown at jenniferb@homme.org or call 715-253-2125, ext. 129. Homme Inc. of Wisconsin is an equal opportunity employer. Homme Homes participates in the WisCaregiver Careers program. WisCaregiver Careers offers nurse aide training at no cost to the student through participating approved nurse aide training programs. Testing fees for the state competency exam will be covered for all students who successfully complete training and program requirements through these programs. After successfully completing the free training and testing, apply for a job with a WisCaregiver Careers participating nursing home and receive a $500 retention bonus paid by the nursing home after six months of employment with that nursing home. View the WisCaregiver Careers overview page for background information about the program.